Frozen Food Gets Ready For Its Image Upgrade : The Salt The frozen food industry wants you to know that even though its food isn't "fresh," it's still good. And they're paying big bucks to convince you. Are you thinking healthy and nutritious? Alarmed by a nation that increasingly equates fresh with healthy, the frozen food industry has a message for you. "What we call fresh in the supermarket is really better termed raw," says Kristin Reimers, a registered dietitian and manager of nutrition for ConAgra Foods. "A lot of times, those vegetables have been transported for days, and then sit. It could be a matter of weeks between when they're picked and consumed." Frozen vegetables, she says, are "probably more nutrient-rich than many of the raw vegetables in the produce section." We called Reimers after seeing that the frozen food industry just hired two big ad agencies for a $50 million campaign to convince us that frozen food is good. ConAgra is one member of the new Frozen Food Roundtable, along with General Mills, Heinz, Kellogg and other big manufacturers. They have ordered up a campaign "designed to change the way consumers think and feel about frozen food by promoting positive messaging regarding the benefits and attributes of frozen food," according to Ad Age. "We're going to do this in a way that hasn't been done before," says Corey Henry, vice president of communications at the American Frozen Food Institute, which hosts the Roundtable. He told The Salt: "You've had various voices weighing in here and there on the value of frozen. 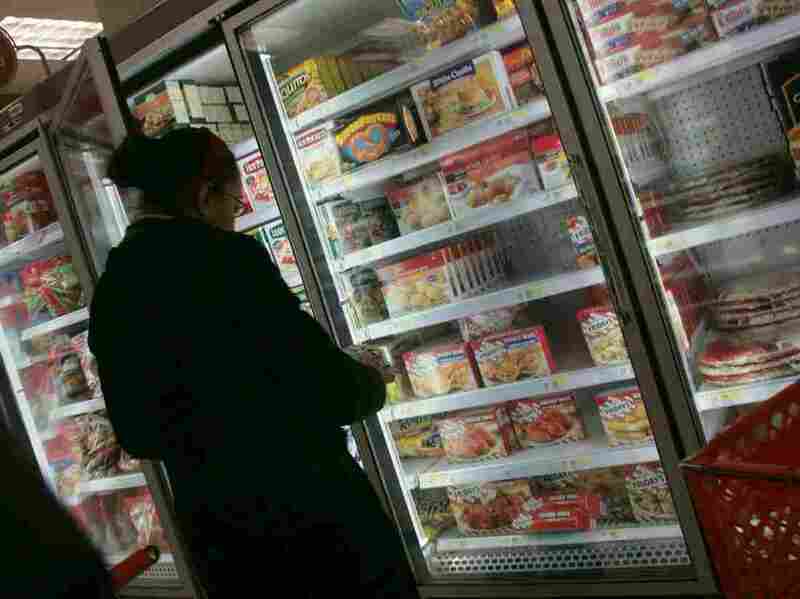 Here, frozen food manufacturers are united to weigh in in a comprehensive fashion." The campaign should launch later this year, Henry says. We at The Salt have plenty of frozen vegetables in our home freezers: Brussels sprouts and kale and lima beans, to name just a few. And the Science Desk freezer is full of single-serve meals that people have stashed for lunch on deadline. So we figure this is not an industry on the ropes. Indeed, frozen vegetables remain popular, racking up $5.7 billion in sales last year, up about 1 percent. Frozen fruit sales totaled $422 million, up 8 percent, according to AFFI. And frozen breakfast items have been posting robust sales. But in an era when even Wendy's is advertising "always fresh, never frozen," producers worry that longevity and convenience are no longer selling points, particularly among 35- to 44-year-olds. One industry survey found that people are more positive about frozen vegetables than they are about frozen entrees, with "significant concerns with the nutritional value and a general feeling that frozen foods are not as good as fresh," according to Ad Age. Newer technologies like steaming and special baking trays have made frozen foods taste fresher, and reduced problems from inconsistent heating in microwaves, Reimers says. Studies comparing the nutrient content of frozen vegetables with fresh find that frozen ones are almost as good. But there are plenty of variables, including how long fresh vegetables have been stored since picking, how long their frozen counterparts have been interred in the home freezer, and how both types are cooked. In a "visionary video" that ConAgra posted on YouTube last month, two women text each other as each heads off to the farmers market to buy fresh veggies. "Oh, my gosh, I almost forgot about this work party tonight!" Jen texts from amid the broccoli. "I know! I was just about to grab fresh vegetables to go with dinner tonight but running short of time now," Shana texts back. Shana abandons the farmers market, heads to the store and buys Healthy Choice Top Chef Chicken Margherita with Balsamic. What the ad doesn't note is that the meal has 310 calories, 8 grams of fat and 600 milligrams of sodium — 25 percent of the daily recommended maximum. Jen abandons the farmers market, heads to the store and buys Marie Callender's Chicken and Broccoli Alfredo. (FYI: It gets 100 of its 350 calories from fat, and has 970 milligrams of sodium — 40 percent of the daily maximum.) Then she tops that off with Marie Callender's Peanut Butter Cream Pie, with 600 calories and a whopping 44 grams of fat. Maybe ConAgra needs fictional shoppers who make healthier choices. Or maybe the frozen food industry really needs that $50 million image makeover.